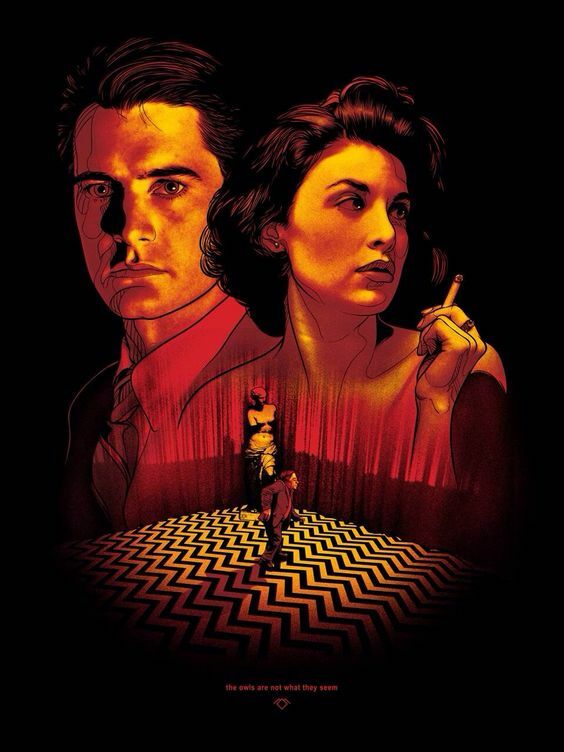 Tonight, on the 27th anniversary of Twin Peaks, Spoke Art NYC will open its doors for “In Dreams,” a group art exhibition entirely inspired by David Lynch’s cinematic work. It’s the second time the contemporary art gallery pays tribute to David Lynch, but their first time in New York City. The show runs from April 8 through April 30 at Spoke Art’s recently established NYC location on Rivington Street. Opening night (between 6 and 9 PM) will have free beer from Bronx Brewery (Heineken? F* that sh*t! ), a raffle giveaway to select screenings from Roxy Cinema’s upcoming David Lynch retrospective, and a Black Lodge photo booth. The first hundred guests will receive free tickets to the Roxy’s May 1 showing of “Twin Peaks: Fire Walk with Me.” And the music in the air will be curated by Welcome to Twin Peaks. UPDATE: Art and prints are now available for purchase. Deangus – Noy Hay Banda!